Named after the Gulf Stream, the Volkswagen Golf is a versatile vehicle that makes traveling the Arlington roads more enjoyable. And if you’re interested in the 2019 Volkswagen Golf configurations, you’ll find yourself comparing the Golf S vs. SE trim levels. Find out more about the Volkswagen Golf trims in more detail below or head to Alexandria Volkswagen for a first-hand look at this new model. The Volkswagen Golf S is the base model, but this vehicle is more than basic. Starting at $21,845, you’ll easily enjoy the way you handle the Washington, DC traffic when you experience what this model has to offer. The second of the Volkswagen Golf configurations is the Volkswagen Golf SE. This model includes the same structure and innovation as the S but comes with some additional upgrades and features that will make your Alexandria drive more exciting. 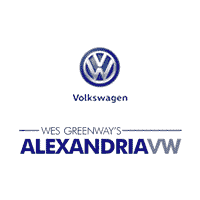 If you want to test drive the 2019 Volkswagen Golf or browse used Golf models, head to Alexandria Volkswagen. We have a range of vehicle specials available, so stop in today to take a test drive or compare the VW Golf vs. VW Golf GTI.